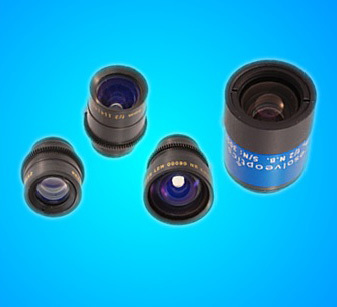 Resolve Optics Ltd. has expanded its range of fixed focus non-browning lenses for close-up inspection tasks in high radiation environments. Designed to provide uncompromised performance on 2/3-inch cameras the new 6mm focal length Model 214 and 9mm focal length Model 286 lenses deliver high image resolution (f2) and minimal geometric distortion from 400 – 750 nm. Manufactured to the highest quality standards from cerium doped glass, Model 214 and 286 lenses are able to withstand radiation exposure of up to 100 kGy (100,000,000 rads) and temperatures up to 55 degrees centigrade without discoloration. Most non-browning glass lenses are yellow tinted which unfortunately gives images acquired by colour CMOS cameras a yellow appearance. To provide a solution for this problem, Resolve Optics developed the Model 313 – a 25mm focal length (f1.4) fixed focus non-browning lens. Using specially selected glasses with the least amount of yellow tint, so that the image would be as natural as possible, the Model 313 still retains non-browning performance in environments subject to radiation.